Facilitate the development of new entrepreneurial initiatives through business development via our contacts network, business plan development and critique, referrals for infrastructure suppliers, and venture finance consulting. Become the venture capital market center by providing a common - physical and virtual - forum to present established companies with opportunities for initial and advanced financial rounds through a network of investors. Generate demand for our customers through marketing and strategic focused consulting, business development, and qualified sales referrals. In today's extremely competitive business environment, it is a daunting task for entrepreneurs to develop their ideas to fruition, as well as for investors and suppliers to find attractive concepts to sponsor. 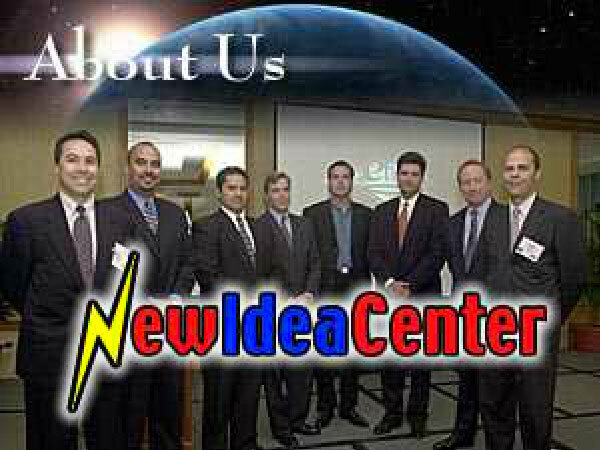 The founders of eFiltro / New Idea Center were constantly approached by entrepreneurs who wanted to know how to realize and capitalize their ideas, and established companies seeking to expand their markets. At the same time, various investors and suppliers complained about the high quantity and low quality of business plans they received. It became apparent that the market needed a common forum to expedite the business creation process. We left our comfortable jobs in the old economy to create eFiltro, which we are confident will contribute positively to our customers, shareholders and industry. Copyright © 2000-2017 eFiltro Co. All rights reserved.